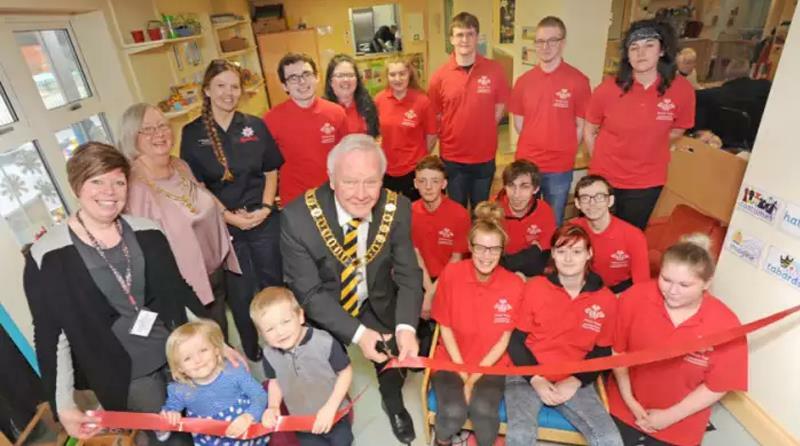 Young artists from The Prince’s Trust community team have brightened up Stoneygate Nursery in Preston. Two local businesses – Bromborough Paints and B&Q in Bamber Bridge – donated materials to help create a themed corridor leading to the two-year-olds’ area as part of a project. Murals were also painted on the nursery walls and a curtain was hung to divide the sensory area up for the children. The Prince’s Trust is working in partnership with Lancashire Fire and Rescue on delivering the current 12-week programme. The project is for a mixture of people either leaving care, young offenders, students or employed people sponsored by their employers. There are lots of benefits for people taking part in the project, including helping those in the local community. Programme support worker Beverley Rushworth said the project’s participants receive “Employment, Teamwork and Community Skills” which form part of a recognised qualification.